"He kept mum when the ESZ notification was issued despite being a minister at the Centre and now he is being aggressive over the issue. It is sheer drama" he said. 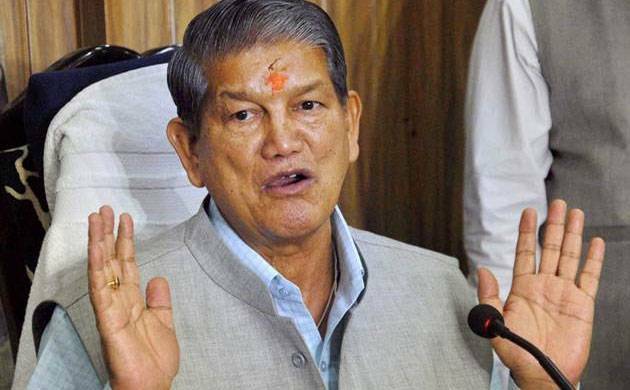 Opposition BJP on Monday hit out at Uttarakhand Chief Minister Harish Rawat for his proposed fast against the rejection of the state government's masterplan on Bhagirathi eco-sensitive zone, accusing him of having done nothing as a minister when a 100 km area along Bhagirathi in Uttarkashi district was notified as an ESZ. "What was Rawat doing when the ESZ notification was quietly issued by the Manmohan Singh government. He was the Union Water Resources Minister at the time. He was in a position to do something to prevent or stall it. Why he did not do so?" state BJP spokesman Munna Singh Chauhan told reporters. Noting that the state government's masterplan had been rejected as it was not in accordance with the ESZ notification, he said the state government had submitted the masterplan very late after the stipulated time frame of less than two years and that too without conducting a hearing of the stakeholders or the population residing in areas to be affected by the notification which was an essential requirement. "It is because of its own shortcomings that the masterplan was rejected by the National Green Tribunal. It is hard to understand who Rawat is protesting against. Shall we assume that he is agitating against a tribunal?" he said. No one could take his battle against a tribunal or a judicial authority like the NGT to the streets, he added. Terming the CM's proposed fast as drama, Chauhan said if he is so keen to sit on a fast he should do so only to atone for his "act of treachery" against the people of Uttarakhand. "Rawat is indulging again in the politics of emotional blackmail. It may also be part of his tactics to mount pressure on the Centre as the CBI has summoned him for questioning in the alleged sting video where he is seen negotiating a deal to buy the support of disgruntled MLAs at the time of political crisis in the state," the BJP leader claimed. "If the Chief Minister is innocent why should he be afraid of CBI and the courts of law. ?On one hand, he claims innocence and on the other does not tire of approaching the high court seeking revocation of the ongoing CBI probe into the sting video," he said. Terming rejection of the state government's zonal masterplan for Bhagirathi eco-sensitive zone as the biggest blow to the interests of the state, Rawat had announced yesterday that he will observe a day-long fast in Delhi on January 5 in protest.